This is a great set of goals, but they have been in the background and now I think we are beginning to appreciate that they should be in the foreground. These are the attributes that actually make academic knowledge useful and that determine the quality of our democratic society, not to mention the quality of life for individuals. Its not new goals that are needed but a new realization that these attributes define the purpose of education at least as much as, and perhaps more than, subject matter mastery. The subjects are the means, but it is the educated citizen that is the end we seek. We have said that before but never really acted upon it – largely because academic knowing is easier to teach and easier to assess. If we are serious about these enduring outcomes being the primary purpose of education – as I believe we should be – then we are going to have to give them more attention and learn how to teach and assess them so that they can find their way into reporting alongside academic learning. Otherwise letter grades in subjects will continue to be the single benchmark by which students and schools are measured, and thus that is what will continue to get time and attention. I think the challenge around assessing them is a real challenge. Much of the BC Ed Plan gets a lot of agreement – and general recognition that what is included is part of a global movement, but if we struggle to find ways to know how we are doing, we will revert back to areas that we feel we can more accurately measure. Agreed Ken – we need to look for different areas to assess and measure and thus different areas to celebrate. Even a different report card, with different areas of emphasis would help to drive some of the change. I agree that this definition still fits, however, I would like it to include the attitude and attributes necessary for continuous learning. There is no doubt that students in the 21st century will face a great deal of change in their lives….the ability to learn, independently and in teams, will be critical to adapting and thriving in times of change. Yes, with all of those suggesting that our graduates will have dozens of jobs, and with the increasingly rapid change in our world – the ability to adapt and change and be a continuous learner is only becoming more important. Regarding the educated citizen, I think Stephen Downes, in his own unique, succinct way pretty much nails it in one of his latest blog posts entitled, “21st Century Skills are so last century! “. Hi John – thanks for the comment, and joining the fine company who are adding their ideas. I like Downes’ list, but also agree with one of the comments on his blog (and which is reflected in comments on this post) – many of these traits are hard to teach, and we have to focus on modelling them. Enduring goals are just that…enduring. It’s the “creative tension” (senge) that exists between those goals and the means we employ to reach them, that compels us to improve. As educators, have we reached the very goals that we have set out for out students in this 1989 document? Do we really exercise the creativity that is absolutely essential in approaching instructional design from different angles? As leaders of leaders, are we reinforcing these attributes in our administrators and teachers? I have no objection to the above list but I am going to throw a wrench into the works but hey if it makes people think, then it is all good. I am going to say that points 2 – 3 – 6 – 7 are more a function of what I am doing at home as a parent, rather than the responsibility of the school system. My last post on Parenting Old School spoke to the notion that, what my children accomplish in school actually has more to do with what my wife and I are doing at home. Call me Old School but I am not sure the school system is capable of doing something that I take responsibility for doing as a parent. The Mandate for the School System to which Chris refers calls Human/Social Development (which is one of the three goals in the Mandate) a shared responsibility between school and home and community. Certainly schools cannot take sole responsibility for character development but neither should they pretend to be uninvolved. Whether they choose to consciously participate or not it is clear that what goes on in school influences attitudes and behaviours well beyond the academic learning that is reported. This supports your point, I believe, and also opens up the important topic of what we actually mean by “partnership” and “parent involvement” and how those necessary intentions can be actualized in the real world of both teachers and parents. I would NEVER suggest that school should be “uninvolved” in a child’s social development. My concern is with the notion of turning these social goals into a set of measurable curricular outcomes. Once you go down that road, then you are no longer in a partnership with parents but instead, you are under contract to meet these objectives. Don’t get me wrong, it is not that I would like to reject my responsibility as a teacher in helping kids live up to social goals but once you start trying to measure and evaluate social constructs, you are creating an untenable situation. Once you start measuring it, you own it. For better or worse. Certainly these goals should be central to everything an education system does but they cannot become the sole responsibility of that system. I’m intrigued by the issues you have raised here. The issue of parents or schools “teaching” social responsibility is fascinating. I think that there does need to be an integrated model, but often it does seem like we are looking to schools to instil values which parents don’t seem to be reinforcing at home! Perhaps it’s part of a larger societal trend which I see of not accepting responsibility and accountability for one’s actions and expecting it to be directed by external agencies. While I admire the work being done on one level, there are times when I feel this focus is leading to a diffusion of instruction where the benefits are not substantiated by the efforts. Thanks for your comment on my comment Reema. The diffusion of instruction is definitely and issue that needs to be considered but for me it is the suggestion that social constructs should be standardized so they can be taught and measured. I think this is a weakness in the psyche of the teaching profession. There is nothing they won’t take on as a responsibility for which they own and ultimately take the blame for when things go south. @Tjames91 said it best in the last post of the main thread. Citizenship needs to be modelled not taught and this has to come from home, school and community. 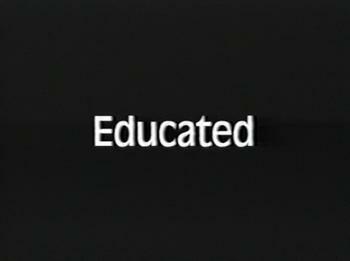 Just a thought… The term “educated” makes me feel like there is an end point. Is there a point when we “become educated”? I love the work that Dr. David Coulter at UBC has done around this… He speaks of “living a worthwhile life” and Aristotle’s “phronesis”. Are we to define what qualities that an “educated person” may have or should it be more unique to the individual. If the goal is flourishing in life, phronesis, or a worthwhile life, is it our job to state what this should look like for each individual? We do need to have some structures and goals of our education system but is there a point when it becomes too prescriptive and the identity of people is lost? I think the piece on “The Educated Citizen” in BC’s context, is not to be about the what of school – that is important, and finds a how in many other documents, but the Educated Citizen allows us to step back and reflect on our world of BC and ask questions about what kind of people are we hoping are our next generation. It’s exciting that these conversations are happening more frequently now in BC. This is so crucial and we have such limited time to “reset” our system for the future. The pace of change is on an exponential trajectory. 200 years ago in the leading edge of this change curve, things did not appear to change much in one’s lifetime. Now at the trailing edge, the pace feels rather rapid. We are on a steep climb of change in very short timelines. Our sense of an educated person or a lifetime learner better match the pace of change or our students will never be prepared for the present let alone the future. The 1989 list, essentially attributes of a learned person, may still be valid but would be insufficient I think. Shouldn’t there be a BC required core compentency / knowledge requirement to be “educated”? And a process to maintain this regularly, rather than as a major periodic event? @Chris Wejr: I think there is an and-both in what you’re saying. We need a core competency for all “educated” citizens and a flexibilty for individuals to go broader or deeper as they wish. There is no end point though as things are eternally changing and we experience more of these changes in a lifetime then all people did in the past so presumably life time learning is an essential requirement to survive. One of the qualities I believe is missing is that we need graduates who have had the experience, and satisfaction, of overcoming adversity. Unfortunately the school system does not recognize failure as something from which learning can take place. Thus, students of today are passed on from grade to grade with no opportunity to learn from their mistakes or lack of effort. It is the mission in most school districts to raise the graduation rates. One way they do this is laughable. “They just don’t fail anyone”. That is a quote from a local high school English teacher. Couldn’t agree more and I tell my students every year on the very first day. Failure is an option and you will undoubtedly learn more from your failures then your successes. I get quizzical looks if not audible gasps of horror but we protect kids from any kind of adversity and if they do fail, we focus on the mark rather than the effort they made or the lessons learned from that failure. I believe that much of the issues we see in young people around anxiety and depression come from raising kids in a protective bubble. There is no risk, no failure and therefore no ability to cope with adversity. My alter ego did a post along these lines last summer that was very well received. Hi John – my experiences with the scenario you describe have been very different. I have not been part of conversations where the focus was to push kids through to raise graduation rates, but I have been part of many conversations where we looked to give kids multiple chances, and show learn in a variety of ways and allow students to fail a task once, and have another chance to be successful. I find I am given a lot of opportunities to make mistakes and still earn credit in the end. We absolutely have to allow, and even encourage failure (it is good for us), and then we have to find ways to give people another chance, to demonstrate success. It would be hard to find fault with any of the points made in 1989, and that is as it should be. After all, have the goals and culture of our society changed that much in 22 years? Not really. We’re more ‘globalized’ (whatever that means) and the ease of information and knowledge dissemination has greatly increased. Given these changes, and the hyper kinetic pace at which things are continually changing that Brian speaks about, I’d personally like to see something about thinking empathetically and acting morally, especially toward those not in our immediate circle. The last point kind of skirts this, but given how ‘tied together’ the citizens of the world have become, especially when we consider the state of the environment, unless we start thinking more about “the other” (i.e. those totally outside our day to day lives) we’re going to have a lot of trouble navigating some of the issues that humanity’s going to face over the next half century. The upside is that we’ve already been addressing this with the emphasis in the last decade or so on “social responsibility”. Thanks Iain. Yes, there is no doubt the growth in social responsibility has been a remarkable trend in BC over the last two decades and somehow should find a home in a document about the students we are producing. From many conversations with those inside and outside our province, I understand our jurisdiction in quite unique for both its emphasis and success in this areas. I enjoyed reading your post Chris and reviewing the comments, too. I also followed some of the links which led to other links which led to … and that’s one of the items that I’d suggest has to be added to the list, or perhaps pulled out from the other points and highlighted. We live in an age saturated with information which is more easily accessible then probably any other era in history. So, how do we help students and other lifelong learners learn to manage the infinite sea of information? How do we help develop the filtering process without running into the problem of tunnel vision? How do we tackle what I’ve heard referred to as confirmation bias? That is, the tendency to read/listen/seek out only those sources that agree with our point of view and outlook on life. Because empathy and compassion can only be built on finding commonalities between us and at the same time accepting our differences otherwise we run the risk of fragmenting into fossilized groups hiding behind our fortress walls. In all of this though, I think we may be losing sight of the fundamentals. At the end of the day, literacy and numeracy are the building blocks of education and they remain so. I think it’s important that we stop taking these key aspects for granted. Students need to be able to read, write, and do their arithmetic. As suggested elsewhere, arithmetic may not be algebra and trigonometry, it may be financial management and budgeting, but we need numeracy. Cursive may be on its way out, but we need to be able to write clearly. We may carry around iPads and Kindles and Kobo’s and whatchamacallits, but we need to be able to read the content. So let’s update our methods, lets update our resources. Lets look at new challenges and try to prepare as best as we can for the ones to come, but let’s not forget that without reading, writing, and arithmetic, that citizen we’re looking at will be uneducated or undereducated, failing to thrive or marginalized, and denied the opportunity for full engagement in or to make meaningful contribution to his or her society, to our world. Or, as Dufour calls it, moving improvement efforts “from rhetoric to action.”. The actions that Bruce discusses in terms of how we are going to teach these skills and provide feedback to our students with respect to these skills is a key part of the conversation, and the one that I hope we can begin to focus upon. Well Cale, you and I and everyone commenting are all part of the system now, so lets go and move this to action. I was listening to the Education Minister speak last week, and he said he might have picked to be Minister at a different time, with more money in the system or better labour conditions etc. but he is the Minister now, so he is going to do his very best to make positive change. This resonates with me – I have said that I wish I was the Superintendent who had large discretionary budgets or could increase staffing each year – but that is not the case. So, I am going to do the very best with this awesome opportunity to bring to life the values we believe for our system. Interesting points……all requiring I think, the ability of the adults within the system to have similar opportunities to stretch themselves (to think critically, be creative, flexible……). Do policies and do current structures generally address this need as well as they should? For example, do we have positive, forward thinking structures in place to ensure that the adults practicing in our system change schools periodically, so that they continue to grow personally and contribute to the growth of others. This seems to be a challenge in some places where staffs have become “too comfortable”. My 4 year old daughter is learning how to be a speedskater. The other day, during a practice, the coach lined the skaters up for a race. At the whistle, the young skaters bolted for the lead. I was, like most dads with a sport’s past, hoping my child would prevail, that the other parents would recognize the athletic abilities of my child. Instead, my daughter, noticing another skater had fallen near the start, quickly glided over and carefully helped the skater up from the ice. I watched transfixed. She had no interest in winning the race. She focussed on helping another person in need, even giving a gentle caress on the other skater’s helmet and shoulder to indicate that all is ok.
My daughter modelled that part of citizenship requires people to offer a helping hand to others, to be kind to others, that it is not always about being the victor, the first to cross the finish line. So we can talk about teaching this or that, about assessing core standard this or that, but we would be missing the point. We need to be what we want our students to be, remembering that they will inherit this adult world of responsibility all too soon. If we want thoughtful, caring, engaged citizens,who embark in life long learning, who will ensure that our aged are not fogetten or dismissed, then we must model that behaviour in the classrooms, our offices, our homes, our marriages etc. We cannot “teach” educated citizenship. We, young and old, must “model” citizenship as my 4 year old daughter modelled citizenship to her fellow skaters. This list published in 1989! This could have been written yesterday….very good! Interesting discussion. When I look at the Educated Citizen from 20+ yrs ago, I agree there is little to dispute here, and while we may add a few things, that is not really the point. 2) Developed our curriculum in a manner that these competencies are “taught”, assesssed and developed in an intentional manner. It is the degree of intentionality that is key here. We seem to have assumed that the courses we teach, such as Chemistry 11, will develop those competencies. If we want to say this is the profile of the ideal graduate, we have to make sure the sequence of learning activities develop those skills. Whatever the new graduation standard are, we should make sure that whatever the “transcript” looks like we can see actual evidence of these competencies. No more hidden curriculum.